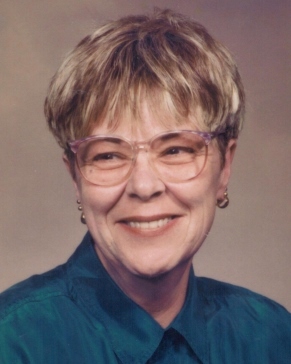 Ms. Judith C. (Coggeshall) Perkins, age 79 of Ambrose Drive, Bristol, died Tuesday, January 29, 2019 at her daughter’s home, surrounded by her loving family. Born in Fall River, MA and a lifelong resident of Bristol, she was the daughter of the late Frederick W. and Mildred (Newman) Coggeshall. Judith was a graduate of Colt Memorial High School, Bristol, Class of 1957. She was a van driver for the Bristol Senior Citizens Center at Benjamin Church Manor for over 20 years, retiring several years ago. Judith was a communicant of St. Michael’s Episcopal Church, Bristol and a former Choir member, Sunday School Teacher and Youth Group Advisor. She was a practical, down to earth Lady that loved the peace and solitude of long rides up into the New Hampshire and New York mountains…Berkshires, Catskills, and the Adirondacks. She enjoyed stopping at farmer’s roadside stands, antique shops. Her favorite pastime was hanging with her grandchildren and great grandchildren and the family dog, Bean, who was her joyful friend and protector right to the end. She is survived by four children, Sheryl A. Sinclair of Warren, John N. Sinclair (Donna) of Tiverton, Allen E. Sinclair of Jacksonville, FL and Debra A. Waddell (Bryon) of Bristol, with whom she made her home, five grandchildren, Kristen Marabello-Contente (Bristol Town Administrator, Steven) of Bristol, Allen E. Sinclair, Jr. and Amanda Sinclair, both of Jacksonville, FL, Aden S. and Ava Rose Waddell of Bristol, and seven great grandchildren, Alaina Mae, Levi and Matthew Contente, Elijah Cogdell, Gavin, Abby and Connor Sinclair. In addition to her parents, she was preceded in death by her longtime companion, Edward O. Maher.